Hi! It really is Spring! 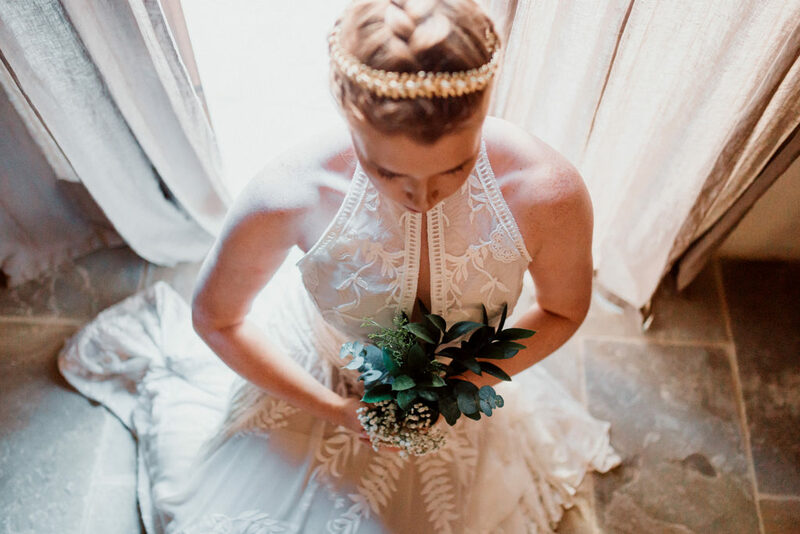 Recently at a wedding show, I was asked two questions “What headpiece should I wear with short hair?” and “What headpiece to wear without a veil?” These are two frequently asked questions with seemingly different answers … or not? 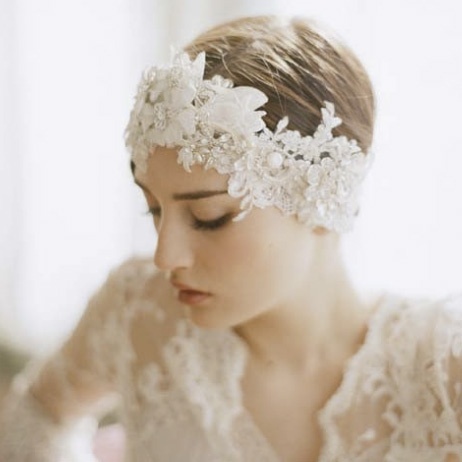 Your headpiece is an integral part of your wedding day style. It’s the most beautiful accessory (next to your engagement ring, of course!). It’s an individual as you are. 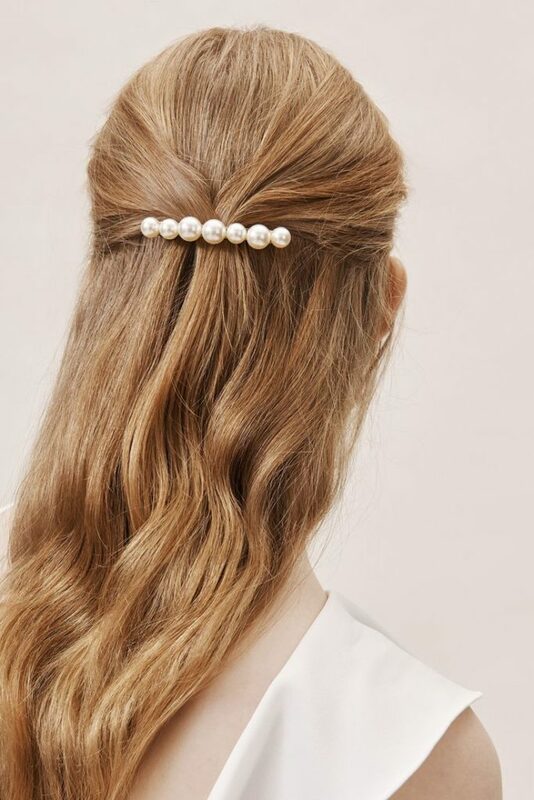 It’s the statement that completes your wedding day look. 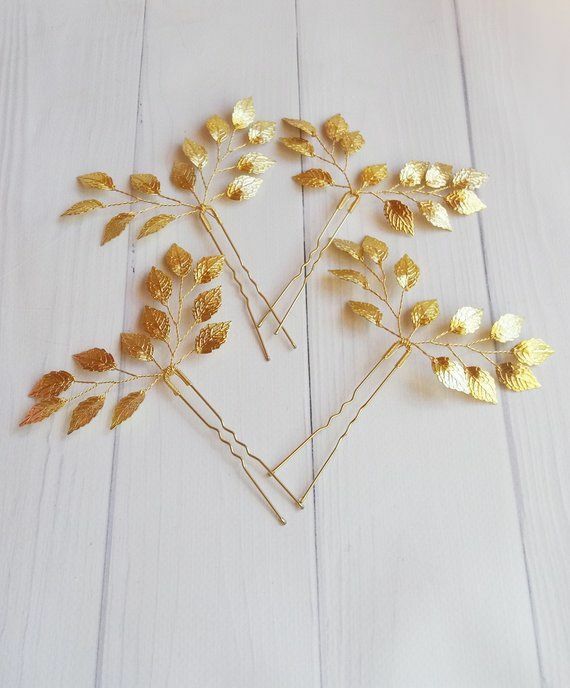 We like to start with something you may have or that your Mom or Grandma has that can be updated to bridal style, like a favorite brooch, hairpin or headband. 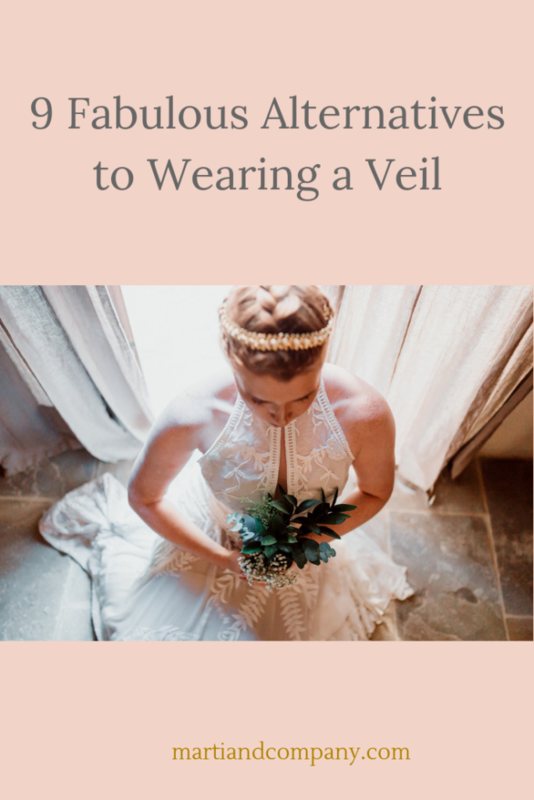 Or even lace from their bridal gown or veil. 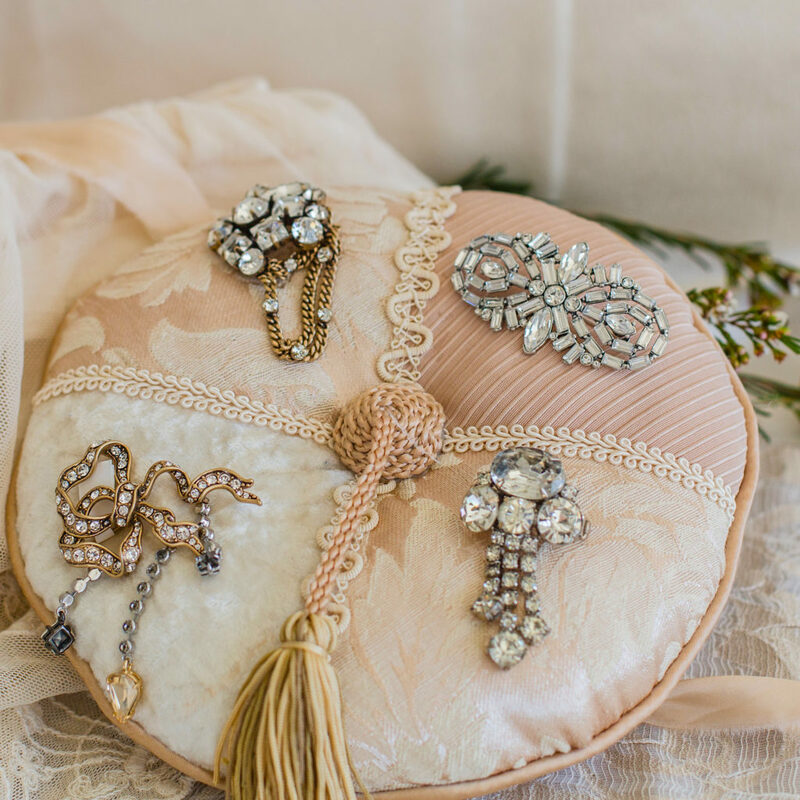 We’re all into refashioning accessories. 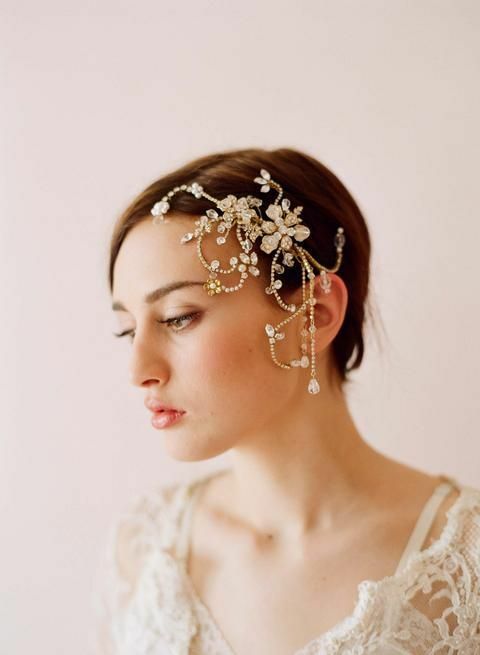 Bonus … several of these hair accessories can be worn after your wedding! And all can be kept as an heirloom keepsake. 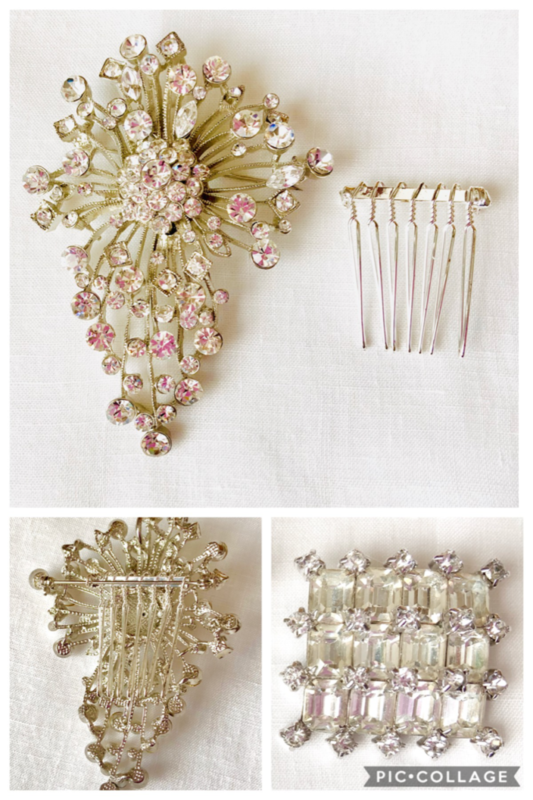 Brooches can be refashioned fairly easily into a Bridal comb to tuck into your hairdo by adding a comb to the pin back. See this idea in action in the second photo. 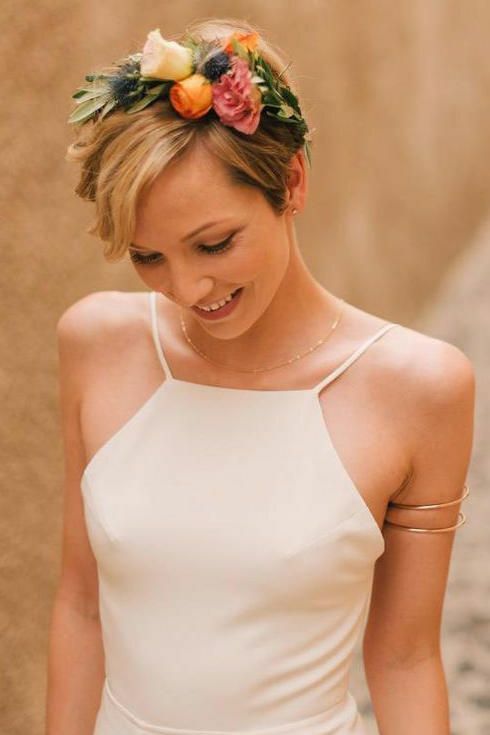 Headbands come in so many styles + materials like metal, floral, lace, and fabrics like leather. With so many choices your sure to find one that is your favorite. The plus here is that a headband will likely find its way into other celebrations in your life after your wedding. Available from Marti & Co. on Etsy. Click on the link above. Hair clips are a favorite at Marti & Co. 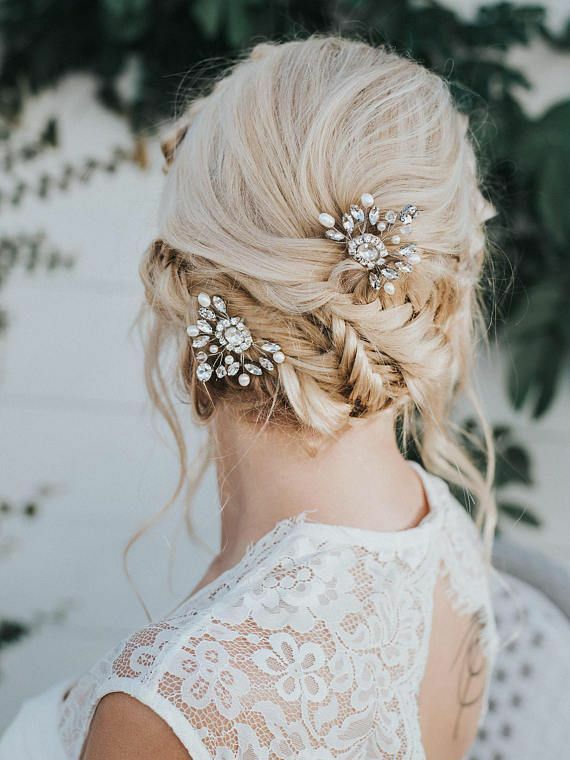 So many styles … from a Gatsby / Old Hollywood design all the way to a modern dramatic clip that looks fabulous with short hair. 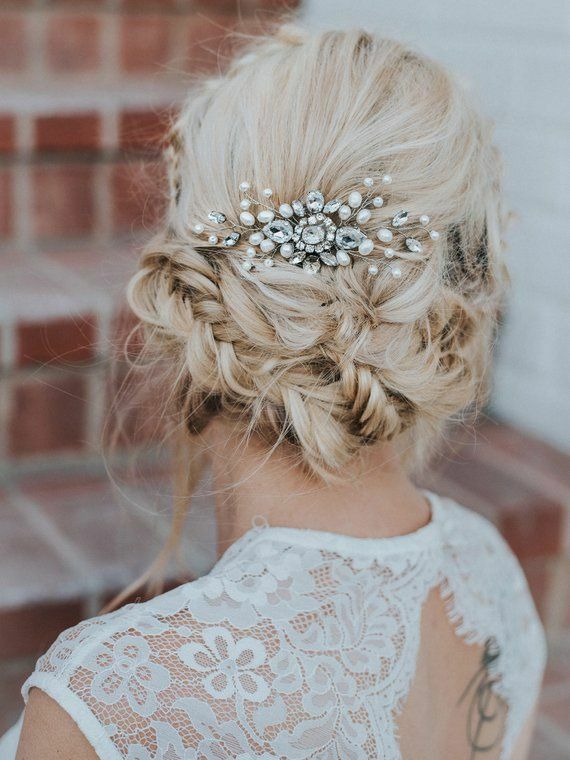 Both add Glam and Bling to your wedding day look! 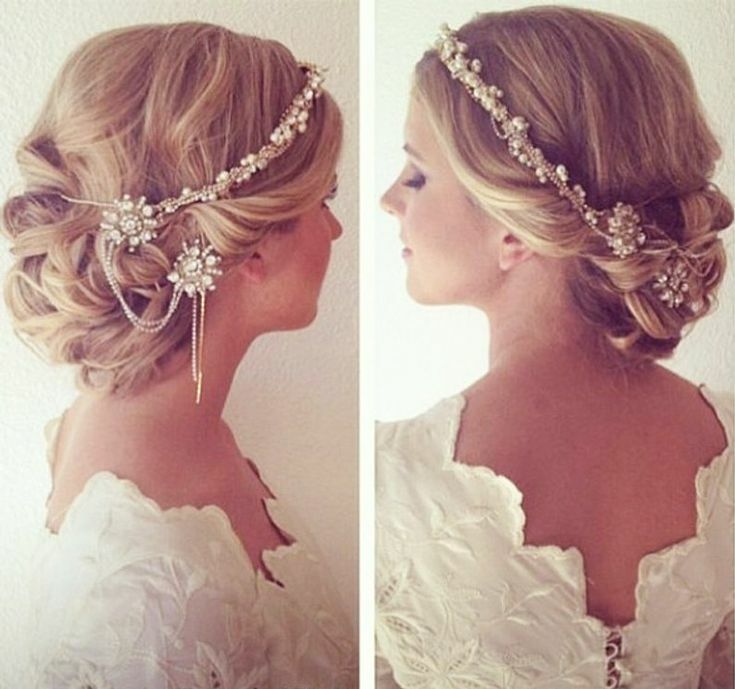 Hair Vines add elegance to your hair style and overall, wedding day look. They come in many styles and price points. Some can even be made from heirloom jewelry. 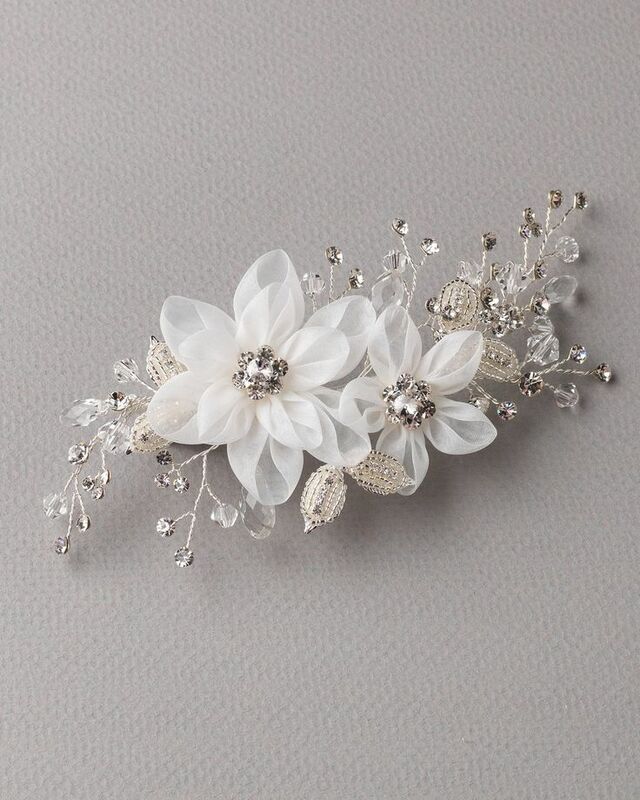 Barrettes are probably the easiest hair accessory to find and style for you wedding day. Especially if you like to do your own hair. 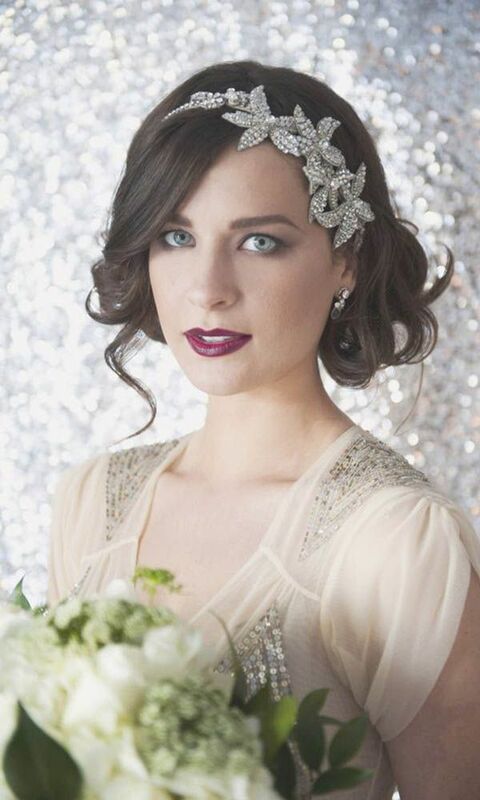 And a barrette pairs particularly well with a minimalist wedding gown . Not much needs to be added here. 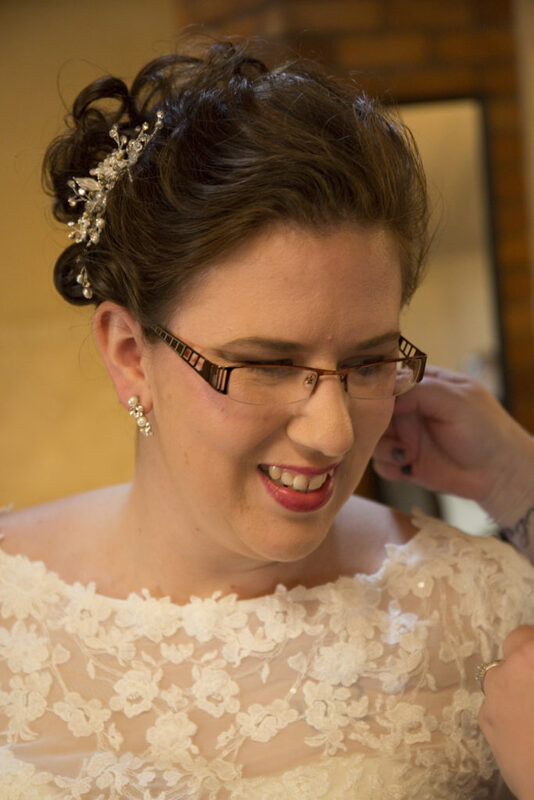 Tiaras are elegant and classic and usually are the perfect touch for an over the top wedding day look. Available at Marti & Co. on Etsy. Click on the link above. 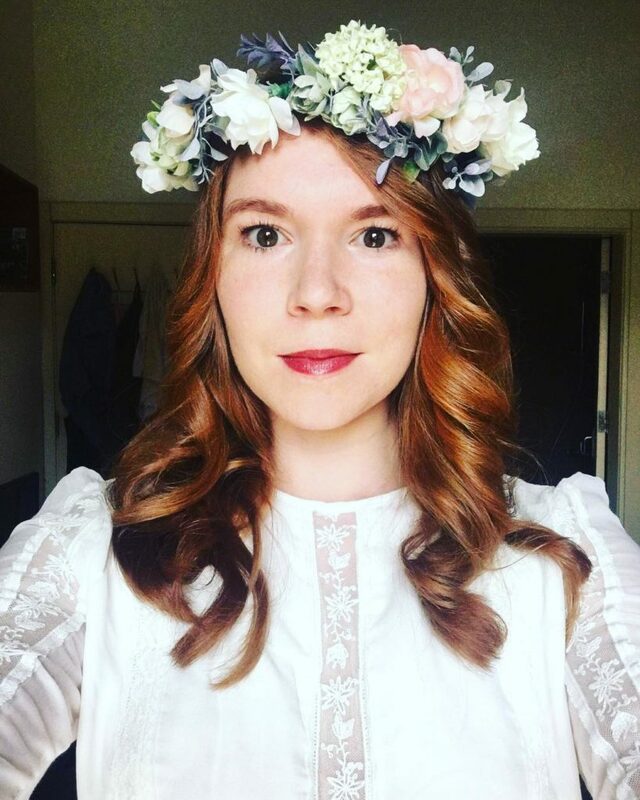 Flower hair accessories are my personal favorite and I enjoy designing and making them, especially floral crowns. 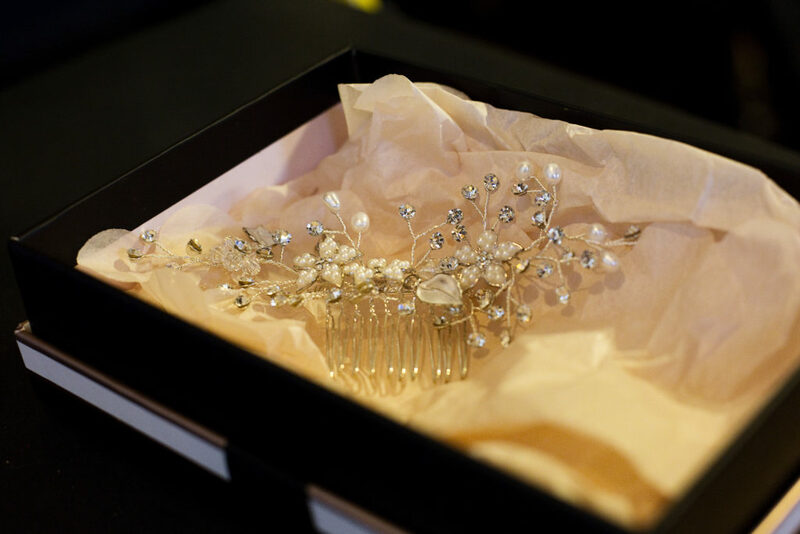 Fresh flower accessories are best with sturdy flowers that can look good at the end of your wedding day. Florists have the knowledge and style to select the flowers that will work best for your wedding. Trust them, they are a Bride’s best friend! 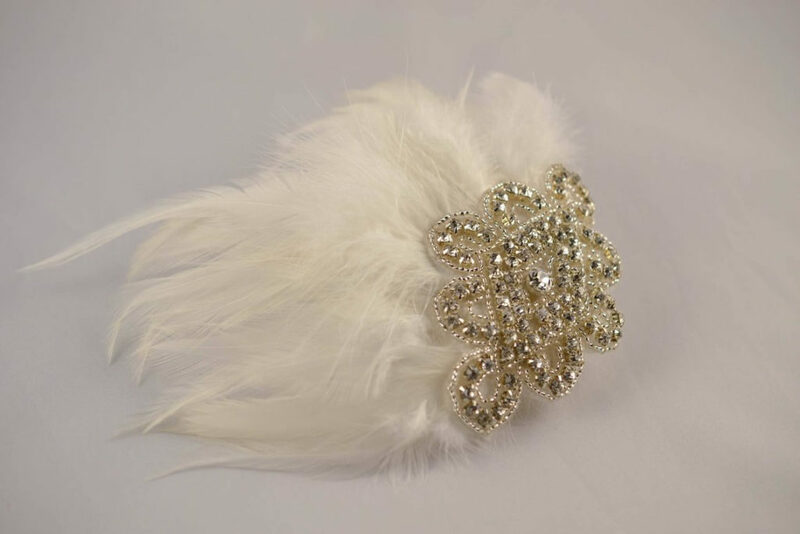 Looking for a hair accessory for your casual but elegant Destination wedding venue? Hairpins are the answer. They come in many sizes, styles and materials and give you double value as they’re easy to pack and can also, be worn on your honeymoon. Allison’s Hair Comb. Available at Marti & Co.
Beaded combs make a statement in all hairstyles from short to medium to long. 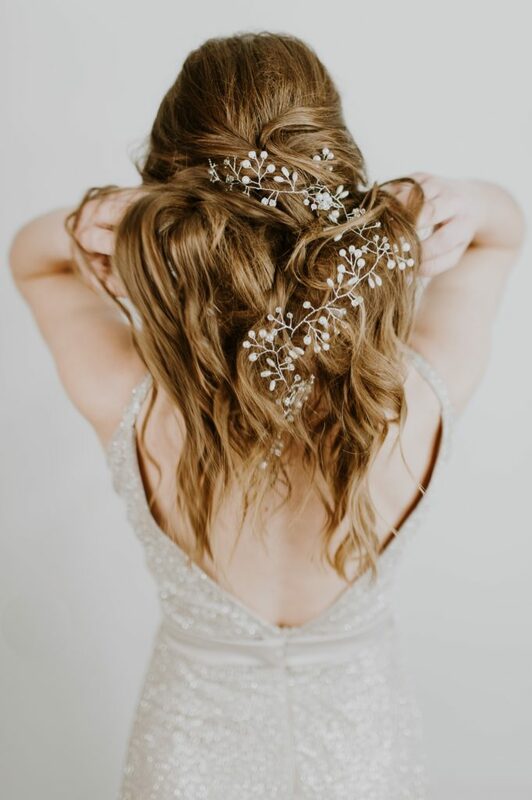 A tip passed on to us by our hairdresser is to always add bobby pins to secure the comb to avoid any unexpected interruptions when you’re dancing the night away. 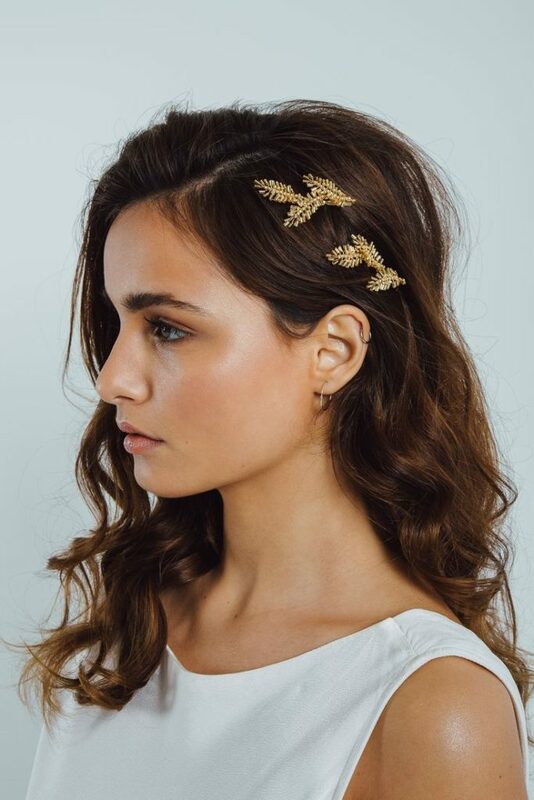 Which hair accessory is your favorite? I love them all of course! If I’d have to select one it would be the gold wreath from Helen Hunter.